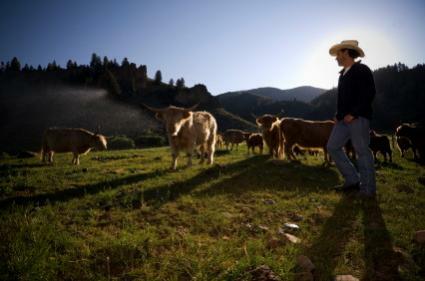 The debate over intensive livestock farming has become a hot topic as consumers become more aware of the purported benefits of organic products. This spike in interest has led to a large amount of public inquiry into the methods of production used to provide them with meat. There are very real differences between intensive livestock farming and organic farming, both in methodologies and in health impacts. Intensive livestock farming is one aspect of the mechanized and industrialized face of agriculture from the early 20th century until now. The facilities that utilize these industrialized practices are colloquially referred to as "CAFOs," or Concentrated Animal Feeding Operations. CAFOs are indicative of the factory farm mentality as applied to meat, which seeks to create the greatest outputs for the lowest costs. It is impossible to understand intensive livestock farming without a fully-versed understanding of these feed operations. First coined by the Environmental Protection Agency, CAFO is a term that applies to a large facility that produces meat by confining animals in concentrated areas to maximize land area. These facilities concentrate animals like pigs, cows, chickens, and other livestock into a very small area of land to keep them more manageable and to create the largest output for the smallest amount of land. 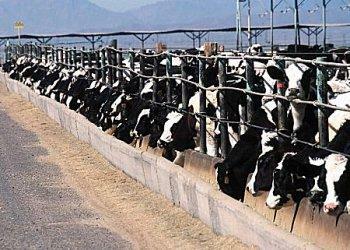 There is quite a lot of debate over how humane it is to keep animals confined in areas like this. Many legislative bodies-- including the European Union-- have completely banned CAFOs in some forms due to these concerns. Also, there is extensive documented evidence that shows the negative impacts that CAFOs have on water quality, air quality, and human well-being. Due to the highly unsanitary conditions found when thousands of animals are penned in together all day for months, infections and sicknesses are common elements of a CAFO. This has led to a disproportionately large use of antibiotics in CAFOs that have been shown to have potentially negative impacts on human consumers. The CAFO is the primary component of intensive livestock farming and the current levels of manufacture attained through their use would be unattainable through any other known means. Organic farming, on the other hand, utilizes methods that are significantly different from those used by its contemporary peers. Much of this can be seen in the USDA standards for organic farming practices. One of the largest differences in these methodologies is that organic meat production requires the use of minimal outside resources. What this means is that livestock on organic farms are more likely to gain a significant portion of their diet from grazing. Animals on organic farms are also not piled on top of each other as is common in CAFOs. Buildings that house animals on organic farms are required to be designed for animal comfort and to allow the animal room to exercise or move freely. Organic standards also do not allow for the use of antibiotics in animals or the use of growth hormones. 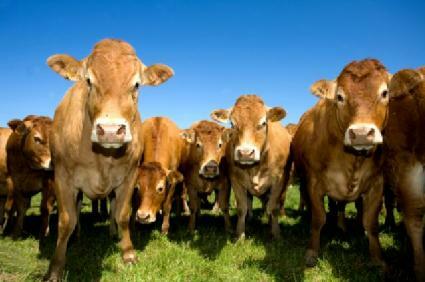 Feed given to organic meat producers needs to be certified organic to maintain certification. Given the substantial differences between the two, there are a great many points of contention that are often argued by supporters and detractors on both sides. Some of the main points that are argued in the debate are the use of genetically modified crops, the use of antibiotics, and the ways in which the animals are treated. Genetically Modified-- or GM-- crops are a large component of the feed that is given to animals on intensive livestock farms. GM crops have been linked to liver and kidney problems in test animals. Large amounts of corn are often fed to animals on these lots. According to the USDA, roughly 72% of all corn planted in the United States is genetically modified. The level of subsidies given to soy and corn farmers has resulted in indirect subsidies to CAFOs through the lowering of feed prices through artificial market manipulation. This has not only helped to increase the amount of land spent farming GM crops, but it also means that a large majority of non-organic meats contain chemicals. Organic farms are not allowed to use GM crops of any kind. They cannot grow them on site and they are not allowed to use GM feed crops with their livestock. Due to the confined nature of CAFOs, animals are often left wallowing in feces and manure simply because there are so many of them. This causes respiratory and blood infections that are commonly treated with antibiotics. The issue with this is that the overuse of antibiotics creates antibiotic-resistant bacteria that can go on to harm human populations. This has become such a large issue that many countries, including the United States, are banning the use of antibiotics in meat production without a prescription by a veterinarian. By contrast, organic farms are not allowed to use antibiotics of any kind on their farms. This has been a large point of contention for some time between certifed organic farmers and farmers that follow mostly organic practices except with antibiotics. Some small farmers find that this rule against antibiotics is a large part of why they can't afford the risk of becoming organic certified. Cows are a large investment and antibiotics are often an effective and reasonably affordable way to stop livestock from dying. By any measure, the quality of life enjoyed by animals at a CAFO is significantly lower than that enjoyed by animals at organic farms. Intensive animal farming operations often have thousands of animals caged in pens where they are crowded together. Fights between animals are common and they are often fighting for space and food at feeding time. On organic farms like Polyface Farms, pigs and cattle are rotated on large pastures. This rotation allows the livestock to eat a more natural diet while fertilizing the ground for planting crops in future seasons. This also eliminates the need for chemical fertilizers and animal feed. This helps to provide a natural lifestyle for animals that promotes greater well-being and freedom of movement. It is also a stark contrast to intensive farms, where livestock like chickens will never see sunlight and will often have toes and beaks cut off to stem the fighting inherent with animals kept in such close quarters. The arguments between proponents of intensive livestock farming and those of organic farming will likely go on for quite some time. There are pros and cons to both sides of the argument, though there are some key things to consider for the future. The only real success of intensive farming is the fact that it produces cheap meat for market. This cheap production is based largely off of grain subsidies that make feed cheap and oil subsidies that make fuel cheaper in the US than in other countries. As these subsidies continue to dry up, the costs of the finished product is expected to rise in concert with production costs. There is also no dearth of studies conducted by renowned organizations that condemn the factory farming methodology pursued by intensive livestock farms. The Union of Concerned Scientists, the UN, and many other organizations have come out condemning the current agricultural climate of which intensive farms are a part. When this and the many negative aspects of intensive farms are placed against the one major benefit they provide, it is not surprising to see that the market for organic foods has risen by 20% like clockwork over nearly a decade.